We have constructed a Beowulf cluster of networked PCs that is dedicated to solving chemistry problems using standard software packages such as Gaussian and GAMESS. We describe the economic and performance trade-offs in the design of the cluster, and present some some selected benchmark results for a parallel version of GAMESS. We believe that the Beowulf we have constructed offers the best price/performance ratio for our chemistry applications, and that commodity clusters can now provide dedicated supercomputer performance within the budget of most university departments. Distributed and High-Performance Computing Group, University of Adelaide, Perseus: A Beowulf for computational chemistry, http://dhpc.adelaide.edu.au/projects/beowulf/perseus.html. Gordon Research Group, Iowa State University, GAMESS-US, http://www.msg.ameslab.gov/GAMESS/GAMESS.html. Computing for Science Ltd, GAMESS-UK, http://www.dl.ac.uk/CFS/. The Condor Project, University of Wisconsin, Condor: High Throughput Computing, http://www.cs.wisc.edu/condor/. NASA CESDIS, Beowulf Project, http://www.beowulf.org/. Scientific Computing Associates, Linda, http://www.sca.com/linda.html. M.F. 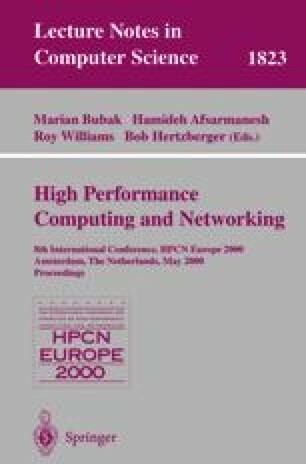 Guest, Performance of Various Computers in Computational Chemistry, Proc. of the Daresbury Machine Evaluation Workshop, Nov 1996. Updated version available at http://www.dl.ac.uk/CFS/benchmarks/compchem.html, June 1999. M.F. Guest, P. Sherwood and J.A. Nichols, Massive Parallelism: The Hardware for Computational Chemistry?, http://www.dl.ac.uk/CFS/parallel/MPP/mpp.html.